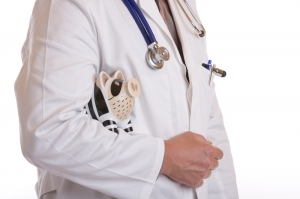 In addition, the dental exam includes a review of your medical history. 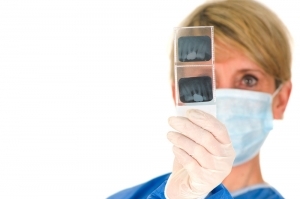 Dental x-rays may also be ordered to have an inside look of your oral structures, and to check for cavities, impacted wisdom teeth and bone loss. The more your dentist knows, the better he/she will be able to treat you. Dental Bonding – Mercury-Free Dentistry, White Dental Fillings, Alterations and Repairs | Rhonda Savage DDS. Bonded can often be done in a single visit, where several teeth can be treated at the same time. Bonding uses a composite resin that is tooth-coloured. It can be shaped and hardened with light to look just like a natural tooth. Bonding material can also be used for fillings. Many patients prefer bonded fillings since it closely resembles the color of your natural teeth. They are ideal for front teeth or teeth that are more visible. However, compared to crowns, bonding is not as stain-resistant. It’s also more likely to chip or break off. If this does happen, contact your dentist for a repair. Dental Bridge | Gig Harbor, WA. A dental bridge is a great option for filling in missing teeth. Compared to dentures, bridges are more stable and look more natural. Dental bridges are recommended for one or more missing teeth. They are artificial teeth that use adjacent teeth as support to stay in place. They also help to stabilize the remaining teeth and prevent shifting or rotating. To fit the bridge properly, the adjacent teeth must be filed down. An impression will then be made that will be used to create your bridge. While your permanent bridge is being made, you will be fitted with a temporary one. Once the permanent bridge is ready, your temporary bridge will be removed and the permanent one is bonded to your teeth. A bridge can be constructed from gold, alloys, porcelain or a mixture of these. While a bridge can last for many years, they can become loose. How long a bridge last for largely depends on the health of your teeth, gum, and bone tissues supporting it. Thus, it’s essential to keep good oral hygiene. Crowns can help re-strengthen a damaged tooth and enhance its structure, alignment or function. Dental crowns are effective for restoring damaged, fractured or decayed teeth. Dental crowns cover a damaged tooth’s entire surface. Crowns can be constructed from gold, alloys, ceramic or acrylic. Alloys are more durable and are often used for back teeth, while porcelain is popular due its natural appearance. Before a crown is constructed, the damaged tooth has to be reduced to ensure a proper fit. An impression will then be made, which will be sent to a dental lab to create your permanent crown. While your permanent crown is being made, a temporary crown will be placed. Once your permanent crown is ready, the temporary one is removed and the new crown is bonded to the tooth and shaped. How long your crown lasts for depends on how well you take care of your teeth and gums. Thus, good oral hygiene is important to ensure it last for a long time. Dentures are false teeth that the patient can wear to replace missing teeth. Dentures can be full dentures or partial dentures. Full dentures are worn when all your natural teeth are gone. Partial dentures, also known as “partials”, are worn when you still have remaining teeth or when your teeth are unable to support a dental bridge. Full dentures stay in place by suction and use your gum and bone tissues as support. Partial dentures stay in place by using clasps that attach to your remaining teeth. It’s essential to have good oral hygiene to keep your dentures and your mouth tissues clean. Daily cleaning helps to prevent plaque and stain buildup. Your dentures may become loose or worn out over time. Thus, they need to be regularly readjusted and inspected to ensure they are working optimally. Contact your dentist if you’re interested in getting dentures. Before removing a tooth, an x-ray of the tooth will be taken. Your medical and oral history will also be reviewed. Antibiotics may be administered and will depend on the patient and procedure. They are usually given if you have an infection, weakened immune system or your surgery will be long. Sedation can also be given if the patient prefers it. You will be given a local anesthetic to ensure you don’t feel any pain. If an impacted tooth is to be removed, gum and bone tissue covering the tooth will be removed, and the tooth is slowly loosened. Once the tooth is extracted, a blood clot will often form in the socket. You will be required to bite down on gauze to stop the bleeding. Stitches may be placed to seal the extraction site. Depending on your situation, your dentist may recommend you replace the tooth to prevent possible complications. as Advil, can help reduce the pain; however, ensure you take the proper dosage. You can also put an ice package to reduce the swelling. Your dentist will give you detailed instructions to ensure your mouth heals properly. During your dental exam, your dentist will check your fillings. If there are any fillings that are decayed, damaged, or loose, they made need to be replaced. If any cavities are discovered, they may need to be filled. If a cavity is large and isn’t filled, it can become larger and cause oral serious health complications. Direct fillings – these are given directly into a cavity that has had the decay already removed. Indirect fillings – these often require multiple visits, and can include inlays and crowns. They are created in the lab to fit your tooth. re popular due to its longevity. Missing teeth can make speaking, chewing, and smiling problematic. Although there are a variety of tooth replacement options, dental implants are the best way to replace missing teeth. Dental implants are artificial teeth that are constructed from porcelain, titanium and other materials. They are surgically implanted into your upper or lower jaw; thus, are an extremely stable tooth replacement option. Fluoride is a natural occurring substance that helps to prevent cavities, decay, and plaque. It does this by speeding up the remineralisation process and strengthening the enamel. Before an in-office fluoride treatment, your teeth will be cleaned and treated. The in-office fluoride treatments are stronger than over the counter ones and stay on your teeth longer. They are applied via gel, foam or varnish. Before treatment, the teeth are dried to ensure the fluoride will not become diluted. The entire process should take a few minutes. To ensure the fluoride has enough time to act, don’t eat, drink or smoke for a minimum of 30 minutes following your appointment. Fluoride is safe and effective to protect your teeth; however, should never be swallowed. This includes toothpastes and mouthwashes that contain fluoride. Talk to your dentist for proper fluoride use. If you enjoy playing sports or have an active lifestyle, it’s important to protect your mouth from injury. Mouthguards are worn over your teeth and protect them from possible harm or damage. They are also useful for preventing tooth grinding and clenching, such as during at night. Mouthguards are ideal for athletes who participate in contact sports (football, rugby) and non-contact sports (weightlifting, gymnastics). They can also help to treat TMJ symptoms and headaches. Stock mouth protectors- are inexpensive and easy to fit; however, are often uncomfortable and offer the least protection. Boil and bite mouth protectors- they are softened in boiling water and then worn to create a mold. These are easier to wear and offer more protection. Custom-fitted mouth protectors- these are created in a dental lab and are fully customized to your mouth. They are the most comfortable to wear and offer the most protection. When selecting a mouthguard, the most important things to keep in mind are finding one that fits and is comfortable to wear. You dentist can help you choose an appropriate one depending on your needs. Many people grind or clench their teeth at night without even realizing it. This condition is known as bruxism. Bruxism can cause tooth wear, sensitivity, pain, cracks and even tooth loss. It also cause headaches, and pain in your shoulders, neck, ears and back. Nightguards are effective to prevent tooth grinding and clenching. Although you can buy nightguards at your drugstore, custom made ones by your dentist offer better protection and fit. Impressions of your bite are taken which are used to construct your nightguard. Your root canal is performed by your dentist or endodontist (a dentist who is specialized in treating the dental pulp or nerves of the teeth). You are given a local anesthetic to eliminate any pain during surgery. A rubber dam is then placed around your tooth to be treated to prevent bacteria in your saliva of contaminating it. An opening is made in the tooth and the dental pulp is removed by enlarging and cleaning the root canal system. The canal is then filled and resealed with a temporary or permanent filling. A crown may also be placed to fully restore the tooth. A root canal can take 1 -2 appointments to complete. Your treated tooth may feel tender for a couple weeks following the procedure. To protect your tooth, it’s important you brush and floss regularly. Dental sealants are thin plastic coatings that are pained on to your teeth’s chewing surfaces. They hep to protect against decay by prevent germs and food debris to enter your teeth’s grooves. Sealants are most suitable for permanent moles. The application process is quick and simple. The tooth is first cleansed and dried and the sealant is applied. The sealant may also be hardened by a light, with the entire process takes about a minute. Sealants can last for up to 10 years and should be checked regularly during a dental visit. They can be reapplied if they become loose. It’s important to practice good oral hygiene to prevent cavities and decay. Sealants are only a part of a preventative dental care program; thus, you still need to brush and floss regularly to keep your teeth healthy. Dental veneers are an effective way of enhancing your smile. They are thin tiny shells that are applied to your tooth’s surface to correct stains, chips, cracks, unevenness, gaps, and worn out enamel. They help to create a more uniform, whiter smile and help to protect the surfaces of your teeth. Veneers can be made of porcelain or composite resin. Porcelain veneers are suitable for treating more severe oral problems, such as excessive chipping, wear, discolouration and spacing. Composite veneers are more suitable for minor restorations such as small chips, cracks and discolorations. Veneers improve the durability and appearance of your teeth. If you are interested in veneers, talk to your dentist today. Wisdom teeth are given their name because they erupt when we are older (in our late teens to early twenties) and have hopefully gained some wisdom. They can be found at the back our mouth and can erupt in both our upper and lower jaws. Depending on your case, you may have anywhere from 1 to 4 wisdom teeth. However, in some rare cases, some people may not have any wisdom teeth or have more than four. A wisdom tooth can cause problems if it becomes impacted, which happens when there isn’t enough room in your mouth for it to grow out properly. An impacted wisdom tooth can cause pain, discomfort, infection, and swelling to nearby areas, including adjacent teeth. Wisdom teeth are also harder to clean, increasing the chances of cavities and gum disease. If a wisdom tooth becomes impacted, it’s recommend they should be removed. The best time to remove them is between the ages of 16 to 20, since your roots and bones are still soft and developing. As you get older, your teeth harden, which make them harder to remove. During surgery, you will be given local anesthesia to eliminate pain during the procedure. Your dentist will then cut your gum or bone tissues to extract the tooth. Stitches may also be placed to ensure the wound heals quickly. Gauze pads will be provided for you to stop bleeding. To reduce swelling, you should apply a cold compress to the treated area. Are you embarrassed about tooth stains? Wish there was an easy way to close that gap or fix that chip? Luckily, there is. At Uptown Dental Gig Harbor, we offer porcelain veneers to fix minor cosmetic dental issues and enhance your smile. Veneersare thin shells that are placed on your teeth’s surface. Each shell is stain-resistant and customized to the shade and contours of your teeth. This ensures a flawless and natural looking smile. Your dentist will first make impressions of your teeth before sending this over to a laboratory to construct yourveneers. Before placing your veneers, your teeth may have to be prepared to ensure an optimal fit. With proper care, veneers can give you a lasting beautiful smile for many years to come. Contact us at Uptown Dental Gig Harbor today to see if veneers are right for you.